History of Karate was written today in Paris. The updated judging system for Kata was officially unveiled in the Karate 1-Premier League Paris as the sport continues taking steps towards its debut in the Olympic Games Tokyo 2020. The new rules for Kata are modernising the way that the category of choreographed movements is evaluated. With the new system, point-allocation replaces the traditional flags. A panel formed by seven judges assesses the performance of karatekas, and scores are given according to the technical and athletic presentation of the Katas. “This new system is the result of many months of hard work and analysis by many members of the WKF. The determination to implement the updated rules was a much-meditated decision, and I think it continues taking our sport in the right direction. Obviously, it will take some time to get used to this procedure, but in the end, I am convinced that the new system will contribute to further drive our sport towards excellence, objectivity, and innovation” declared WKF President Antonio Espinós. 1. All the competitors are divided into groups of eight karateka. 2. Each karateka performs their kata in front of the panel of judges. 3. The panel of judges evaluates the kata in terms of technical and athletic performance. 4. Judges give points for each of the two criteria. The two highest scores and the two lowest scores are automatically eliminated. With the rest points, the total is calculated. A breakdown is applied of 70% for technical performance and 30% for athletic performance. 5. A ranking is thus established with the points of all the karateka in the pool. The top four competitors in the pool proceed to the following round. 6. When only two groups of eight competitors remain, a new kata will be performed by the athletes to win their qualification to the medal bouts. 7. The second and third-ranked karateka from each group will clash for the bronze medals. The two top athletes will clash for gold. The World Karate Federation is deeply saddened by the announcement that Karate will not be included as an additional sport on the Olympic Games programme for Paris 2024. “Our sport has grown exponentially over the last years, and we still haven’t had the chance to prove our value as an Olympic sport since we will be making our debut as an Olympic discipline in Tokyo 2020. Over the last months, we have worked relentlessly, together with the French Federation, to achieve our goal of being included in Paris 2024. We believed that we had met all the requirements and that we had the perfect conditions to be added to the sports programme; however, we have learned today that our dream will not be coming true,” said WKF President Antonio Espinós. Karate has over 255,000 affiliated athletes in France in over 5000 clubs. 55% of these athletes are younger than 18 years old. The host country of Paris 2024 is a major powerhouse in Karate and has claimed 15 world titles in the last four World Championships. Globally, Karate has 100 million fans in 194 national federations around the world. The last edition of the World Championships was broadcast in 186 countries and registered a participation of 1200 athletes from 131 nations. “France is one of the strongest countries in Karate. We had founded hopes to be in Paris 2024 due to the strength and popularity of our sport in France. Sadly, we have received the very bad news for Karate that our sport will be excluded from this list,” declared the head of Karate’s international governing body. The World Karate Federation has called to overcome this adversity as it has done many times over in situations like this in the past. “Once again, we must recover quickly and continue working as we have always done. This is how we have been capable to have a Federation and a sport that we all can feel proud of. Therefore, I count on your support and cooperation as always,” said Mr Espinós to Karate’s millions of followers. The World Karate Federation has launched a digital campaign to showcase the unity of the sport and to request the inclusion of the discipline in the list of additional sports to be added to the programme of the Olympic Games Paris 2024. The campaign encourages fans to support the Olympic essence of Karate by using the hashtag #Karate2024 and by spreading the message “KARATE: Olympic sport”. The WKF aims at capitalising the tremendous uproar that the proposal of excluding Karate of the Paris 2024 programme has caused among sports enthusiasts all over the world. The main action in this campaign is called “#TsukiForKarate2024”. 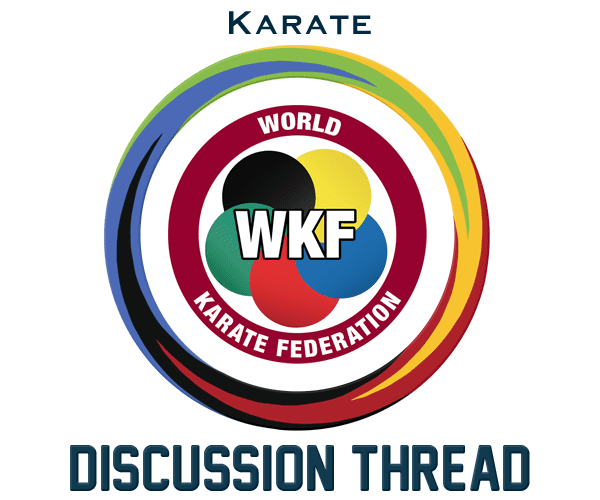 With this project, the WKF is challenging Karate fans from all over the world to perform their best “Tsuki” punch in defence of the inclusion of Karate in Paris 2024. Fans are encouraged to take pictures or videos of their best “Tsuki” finishing with the message “KARATE: Olympic sport”. These pictures and videos are to be posted by fans on their social media networks using the hashtags #Karate2024 and #TsukiForKarate2024 and tagging @Paris2024 and the WKF. Fans can also send their videos and photos to the WKF to worldkaratefederation2016@gmail.com and the WKF will post the best on WKF Social media channels. Sensational giveaways will also be distributed to the most original versions of the famous Karate punch. “Now it is the moment to show the world how strong we are. Now it is the time to demonstrate our unity and to take action against a decision which we deem unfair since we have been excluded even before having the opportunity to show the added value that we can bring to the Olympic Games,” said WKF President Antonio Espinós. “I encourage all national federations, all officials, referees, coaches, and all the millions of karatekas around the world to join us and post their ‘Tsuki’. It is the symbol of the greatness of our sport and it will be the most visual argument for our common goal of being in Paris 2024,” added the president of the World Karate Federation. Join the “Tsuki” challenge now and post your “#TsukiForKarate2024”.